I read this article and found it very interesting, thought it might be something for you. The article is called What are the Top Five Marine Fish for Saltwater Aquarium Beginners? 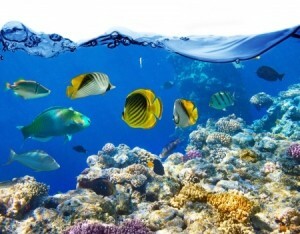 and is located at https://perrysaquaticscentrelincoln.com/top-five-marine-fish-saltwater-aquarium-beginners/. Saltwater aquarium for beginners can be difficult without prior knowledge. A saltwater aquarium requires a maintenance schedule for the daily, weekly, and monthly tasks. You want your marine fish to be able to have a healthy and safe environment. Mineral and chemical balances should be monitored daily. The levels must be at a safe range to ensure the marine life can survive. Filters and water must be cleaned as needed and the actual saltwater aquarium should be dirt free. There are many marine fish out there to select from but not all of them are easy to keep. Certain marine fish are better options for saltwater aquarium for beginners. Factors to consider when selecting marine fish are feeding requirements, price, hardiness, size, and compatibility. All of the marine fish placed inside the saltwater aquarium must be able to get along with the other marine fish. Placing a marine fish that will be a predator for other marine fish is not the best choice. The saltwater this aquarium will need is different from freshwater and the marine fish must be able to adapt to this water. Saltwater marine fish need a greater amount of food to survive. Special food for the marine fish may be necessary. Factors to consider when selecting marine fish are feeding requirements, price, hardiness, size, and compatibility. All of the marine fish placed inside the saltwater aquarium must be able to get along with the other marine fish. A marine fish size when purchased will increase as it grows. Placing a marine fish that will be a predator for other marine fish is not the best choice. The saltwater this aquarium will need is different from freshwater and the marine fish must be able to adapt to this water. Saltwater marine fish need a greater amount of food to survive. Special food for the marine fish may be necessary. Also take into consideration that marine fish living in saltwater can be pricier. Marine fish for beginners should start with small marine fish. Some good choices are shrimp, crabs, clown fishes, damselfish, and gobies. Starfish are also a good choice. These five types of marine fish are all small and cheap. The first marine fish you select can determine the rest of the marine fish you will want. The Saltwater Aquarium Fish Compatibility List is a great resource for determining which marine fish will be able to get along. Do not purchase a marine fish without knowing the necessary facts. Be careful not to purchase a marine fish based on just its looks. While the marine fish may look attractive it can be a costly purchase. As a beginner, start with an inexpensive marine fish. Perry’s Aquatic Center can provide you with saltwater aquariums, marine fish, and many more things you will need. If you are interested to know more, just reach out to us: https://perrysaquaticscentrelincoln.com/contact-us/, and if this post appeals to you, feel free to share it with your followers on all your social media accounts.